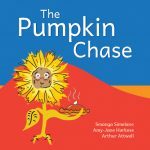 Oh no, the naughty pumpkin pie thief is running away with Miss Sunflower’s pie! 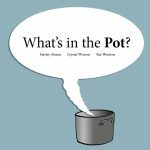 Will you help to catch the crook? 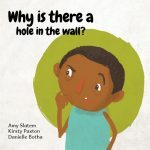 Created at Book Dash Grahamstown on 12 November 2016 by Smanga Simelane (writer), Amy-Jane Harkess (illustrator), Arthur Attwell (designer). Edited by Carol Kagezi. 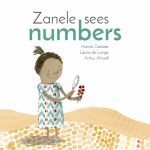 Created at Book Dash Grahamstown on 12 November 2016 by Mihlali Kumalo (writer), Sarah-Rose de Villiers (illustrator) and Zandile Makina (designer). Edited by Linda Nelani. UMbovane owonqenayo wonqena ngeyona ndlela. 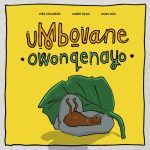 Kwaye uyekelo wonke umsebenzi enziwe zezinye iimbovane. Eyona nto abalasele ngayo kukuthetha, nokuthanda ukutya. 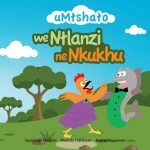 Ingaba uMbovane owonqenayo uyakuze ayeke ukonqena? 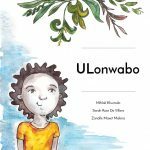 Created at Book Dash Grahamstown on 12 November 2016 by Cebo Solombela (writer), Unathi Dyani (illustrator) and Senzo Xulu (designer). Edited by Linda Nelani. 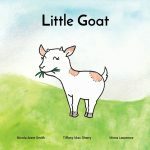 Little Goat wanders off to look for the sweet grass and doesn’t realise how far she is from Mother Goat. 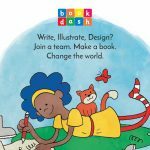 Created at Book Dash Grahamstown on 12 November 2016 by Mirna Lawrence (writer), Tiffany Mac Sherry (designer) and Nicola Anne Smith (illustrator). Edited by Nabeela Kalla. One day, Pig is gone. 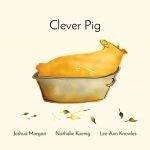 Created at Book Dash Grahamstown on 12 November 2016 by Nathalie Koenig (writer), Lee-Ann Knowles (designer) and Josh Morgan (illustrator). Edited by Carol Kagezi.